The Forum recently conducted the Mid-Winter 2014 Meeting- Unveiling the Mysteries: Building a Better Construction Lawyer Through Best Practices and Technology- The Atlantis Experience, which took place on January 30-31 at the Atlantis Paradise Island, Bahamas. The program included sessions on the best practices in construction risk management and arbitration, as well as recovery schedules, litigation holds, litigation budgets, and ethical issues that may arise as a result of data stores in today’s smartphones and tablets. 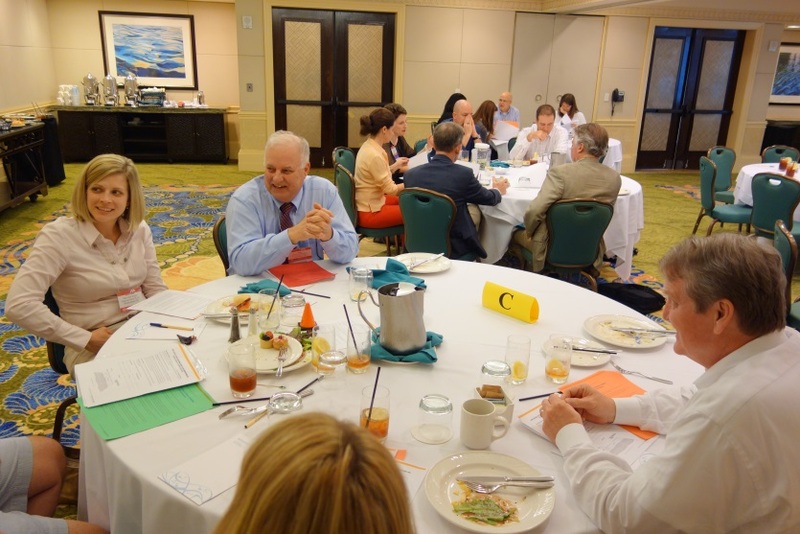 Following the educational sessions, the Forum Divisions hosted lunch meetings on Thursday, offering attendees a selection of construction law topics, as well as the opportunity to network in a smaller setting. Nicholas Siegfried served as a speaker for the lunch program hosted by Division 5 and YLD: Introduction to the ACE Mentor Program- Construction Negotiation Module. The lunch program’s focus was to introduce participants to the ACE Mentor Program and have attendees participate in a hands-on, interactive ACE Construction Dispute Negotiation Activity Module that allowed for some friendly competition. Since its inception in 1994, the ACE Mentor Program has benefitted from the ongoing support and participation of the American Bar Association’s Forum on the Construction Industry, which is the largest organization of construction attorneys in the world. The ABA Forum has sponsored many of the ACE program’s activities and initiatives, including the module on construction negotiation developed by the members of the Forum’s Young Lawyers Division. The negotiation module represents an important addition to the ACE Mentor Program’s, serving as an educational resource for high school students who are interested in learning more about career options in the construction field. It is now available for use by ACE mentors nationwide.